Just a reminder! 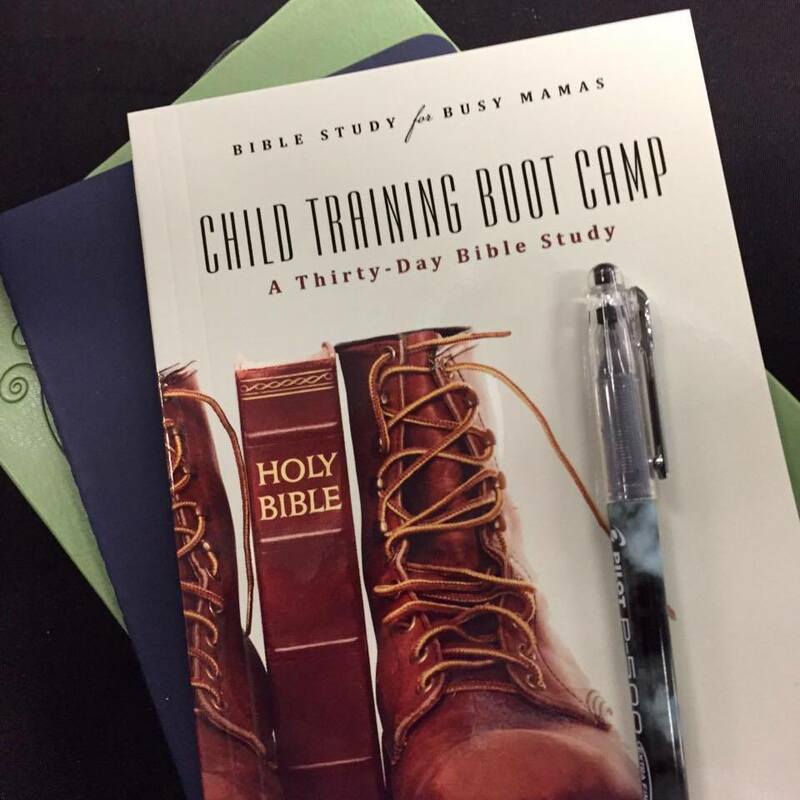 If are interested in participating in the re-run of the Busy Mamas Bible study, Child-Training Boot Camp, that starts today! The lessons will not be delivered via email. If you want to join us, you will need to join the Busy Mamas Facebook group. A link to each day’s lesson will be posted there. The link for Day 1 is posted now. If you followed the lessons a couple years ago when we first did the study and would like a review, here’s your chance. If you did the study, but didn’t use the children’s lessons, maybe this is the time to go back and teach your children! If you need some encouragement as a mother, this is the place to come. If you’re trying to figure out what to do with whiners, arguers, and disobedient children, God’s Word has the answers. It would be nice if there was another option for mother’s who would like to be a part of this wonderful study other than facebook. Tonia, we’re working on another option. It’s just taking awhile to put everything into place. In the meantime, the Facebook group arrangement gives us a good meeting place together. We’re not delivering this via email like we do our live studies three times a year, because it’s a rerun of a study we did a couple years ago. You don’t have to friend anybody on Facebook to be part of the group; you only have to open an account and join the group. Thank you for the reply to Tonia! I too would like to participate and I don’t subscribe to Facebook. So thank you for the other options and direction to find the study. You are a blessing in my life; may God [continue to] richly bless you in your ministry and family. How long does it take to be approved on the Facebook page?